It’s all very exciting. 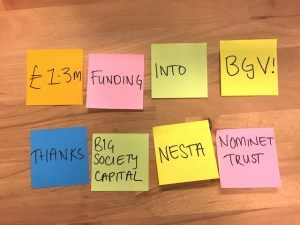 In two weeks time, we’re going to be hosting an event with Nesta and the Cabinet Office to launch a new report we’ve been working on called ‘Good Incubation‘. The first proofs arrived today and – controversially – we think it’s probably going to be purple and orange. Anyway, the project was previously known as ‘The Field Guide to Social Incubation’ and looks at lots of examples of impact accelerators, co-working spaces, prizes and angel networks from around the world that are using different techniques to support very early stage social ventures. 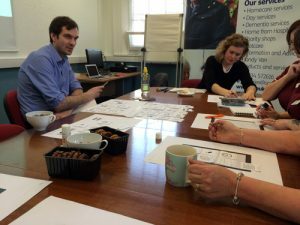 We’re really pleased to be able to gather some of the people running those programmes together for a day to share their stories. 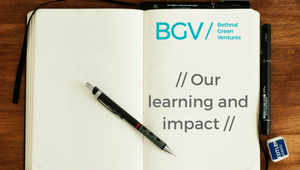 So please do join us for the day on 2nd April – it will be a great opportunity for impact investors, policy makers and incubator managers to meet other global programmes and have a think about how we can improve our offering to social ventures.